See also original Wordpress Starter plan location on their website! Malicious malware can wreak havoc on your website and your business reputation. That's why we scan your site daily and automatically remove any detected malware. For added security, our managed WordPress hosting platform automatically backs up your entire site daily to an offsite location to ensure that your data is always available. We thwart the evildoers while you build your business. 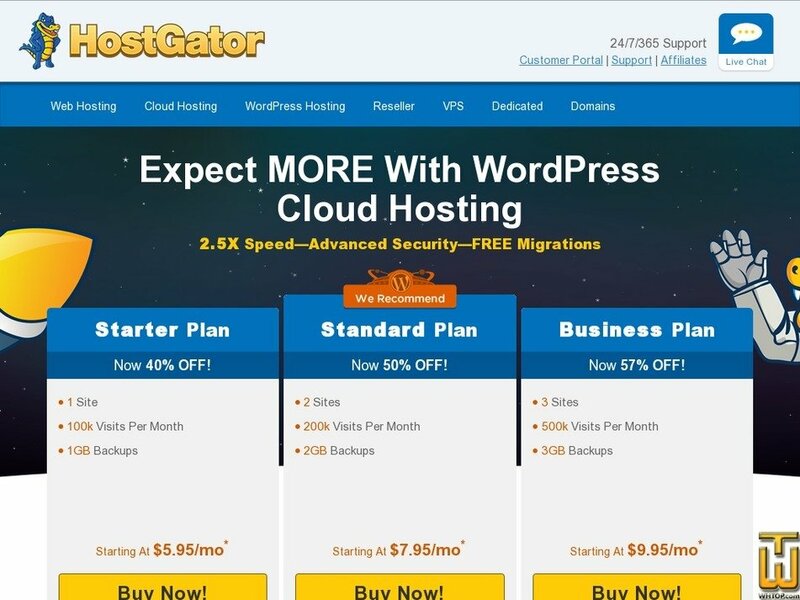 HostGator Optimized WP's cloud architecture scales with your business. See or anticipate a spike in traffic? Depending on the plan you choose, your site will have the power to scale instantly with minimal downtime. Our managed WordPress hosting platform delivers optimal features and maximum value compared to other WordPress hosting plans. Have questions about your managed WordPress hosting platform? Get real-time answers from HostGator Optimized WP experts who are always available by phone. That means premium support every hour of every day. Our FREE migration service will transfer your existing WordPress site to HostGator. Need help? Learn from our WordPress experts. Consultation services are included with some plans to ensure you have everything needed to get started on the right foot. Our revolutionary cloud is powerful, simple, and surprisingly. Harnessing the web has never been easier!